Welcome to MINTMANUAL, the simplest, fastest and most reliable way to send customized bulk text messages to literally thousands of GSM and CDMA cell phones in Nigeria and Globally. Are you a business owner that wants to communicate or market to your customers or an organization that wants to send group messages such as event notifications, birthday wishes, promotions or SMS alerts to staff or an individual looking to send quick messages to your group or friends? If you answered yes to any of the questions above then you are at the right place. We welcome our existing customer at bulksmsbranding and we encourage them to create an account here so that we can transfer your credit to MintManual. If you don't have an account with us already, why not create one by clicking on the "Join Us" menu, fill in your details and click the register button, we will be delighted to have you on board. 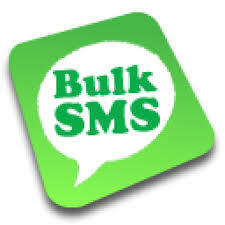 We currently have the latest updated Nigerian GSM phone number database. They are not randomly generated numbers but actual numbers. They are classified according to States and LGA's. We also have for Applicants/Job seekers, Parents/Guardians and other categories. We have very Active Nigerian Updated Email Address Database that is used for adverts and other marketing and promotional activities. Reach millions of Nigerians fast without spending much on advertising. Why not increase your sales with only a one time purchase of our updated Nigerian email address database. It gives you the opportunity to market and promote your business in a fast and effective way and also provides direct and immediate feedback channel. Email Marketing is now the way to go with the increased cost of other forms of advertising. Please visit our services page to see other professional services we offer.